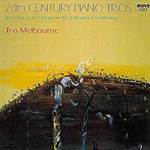 20th century piano trios / Trio Melbourne. The Fifth continent / Peter Sculthorpe. 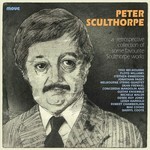 Night song : for clarinet, violin and piano / Peter Sculthorpe. 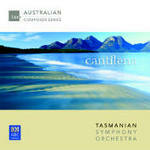 Cantilena / Tasmanian Symphony Orchestra. Chamber works / Peter Sculthorpe. 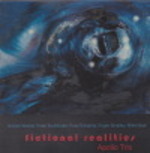 Fictional realities / Apollo Trio. Celebrate 2000 / Tasmanian Symphony Orchestra. 31 Mar 2019: at Streeton Trio (The Independent Theatre). Featuring Streeton Trio. 4 Nov 2018: at Recomposed: music for strings (St Stephen's Church, Newtown). Featuring David Angell, Bourbaki Ensemble. 25 May 2018: at TSO Live Sessions in the Red Shed (Red Shed, Hobart Brewing Company). 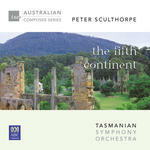 Featuring Tasmanian Symphony Orchestra. 27 Apr 2018: at Lyrebird Trio: Songs from Home (Ian Hanger Recital Hall). Featuring Lyrebird Trio. 19 Jan 2018: at Seidler Salon Series – Genevieve Lacey, Daniel Yeadon and Neal Peres da Costa (Elizabeth Street Offices). Featuring Daniel Yeadon, Neal Peres Da Costa, Genevieve Lacey. 14 Aug 14: Sydney Conservatorium of Music. Featuring Jeanell Carrigan, Minah Choe, Goetz Richter. 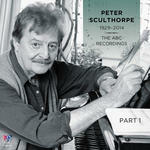 15 Oct 2013: at Monash Sinfonia: Night Music (Melbourne Recital Centre, Primrose Potter Salon). Featuring Elizabeth Sellars, Monash Sinfonia. 12 Oct 13: Melbourne Recital Centre : Port Fairy Festival. Featuring Monash Sinfonia, Elizabeth Sellars. 17 May 2009: at TRIOZ (Elder Hall). Featuring Niki Vasilakis, Emma-Jane Murphy, Kathryn Selby. 13 May 2009: at TRIOZ (Melba Hall). Featuring Kathryn Selby, Emma-Jane Murphy, Niki Vasilakis. 12 May 2009: at TRIOZ (City Recital Hall Angel Place). Featuring Emma-Jane Murphy, Kathryn Selby, Niki Vasilakis. 11 May 2009: at TRIOZ (James O Fairfax Theatre). Featuring Kathryn Selby, Emma-Jane Murphy, Niki Vasilakis. 9 May 2009: at TRIOZ (Recital Room - Oxley College). Featuring Niki Vasilakis, Kathryn Selby, Emma-Jane Murphy. 17 Oct 95: Weill Recital Hall, Carnegie Hall Building, New York City, USA. Featuring Verdehr Trio.